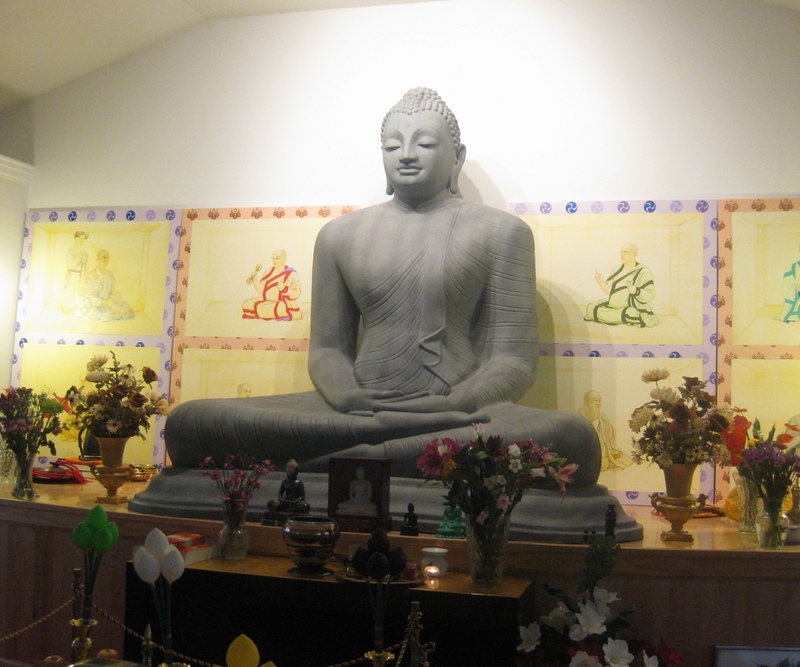 Our temple serves anyone interested in studying and practicing Buddhism. Using the original doctrines and practices taught by the Buddha 2500 years ago, we follow and practice the oldest version of the Buddha's teaching in the Theravada tradition. The resident monks come from Sri Lanka where the Buddha's Complete Canon was first written down from an oral tradition. The temple doors are open wide to provide for the spiritual, religious and educational needs of men and women of all faiths and of Sri Lankan Buddhists living in the United States of America. The temple serves as a meditation center with the goals of teaching the techniques and practice of meditation for the purpose of spiritual development.